Internship in big social science data! 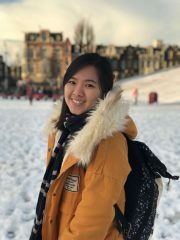 The SILCI team are pleased to welcome Renae Sze Ming Loh who will complete an internship between June and August. Renae is a Masters student in the Faculty of Social and Behavioural Sciences at Utrecht University. Her research interests include technology and its social implications. Her project will focus on early adopters of low carbon innovations, drawing on large global social science data to answer some key questions. For example “to what extent do early adopters of low carbon innovations share particular traits such as high social capital, strong environmental awareness, or strong interests in technology?” She will be based at her home in Singapore, visiting the Tyndall Centre in August.